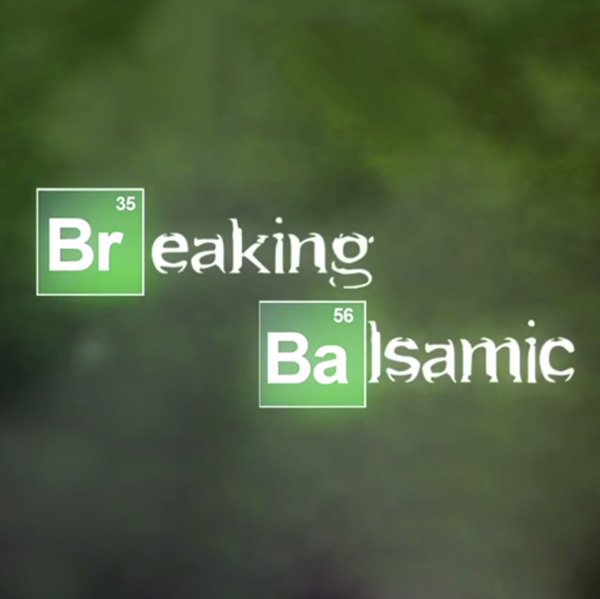 From Breaking Bad to… Breaking Balsamic. Breaking Balsamic Breaking Balsamic is a parody of American television series Breaking Bad. 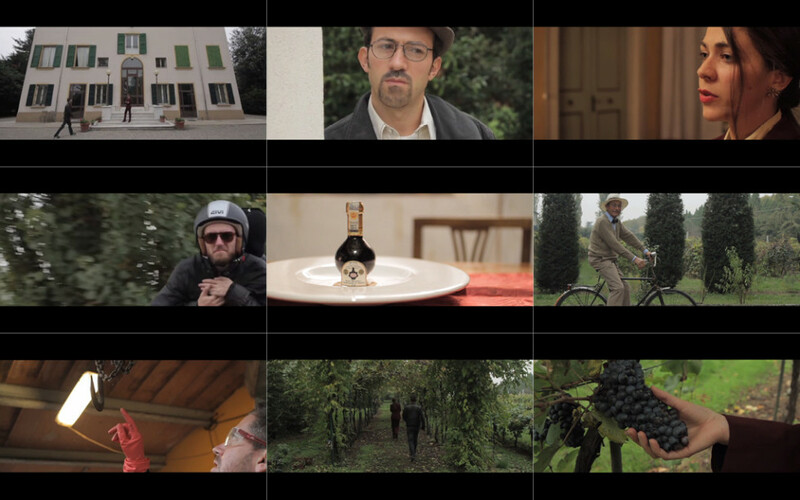 Created by Turner Barr, the film was shot at Villa Bianca and talks about Traditional Balsamic Vinegar of Modena, the real one. Let’s take a step back. Fall 2013, the harvest is almost over, the visits at the Acetaia continue. 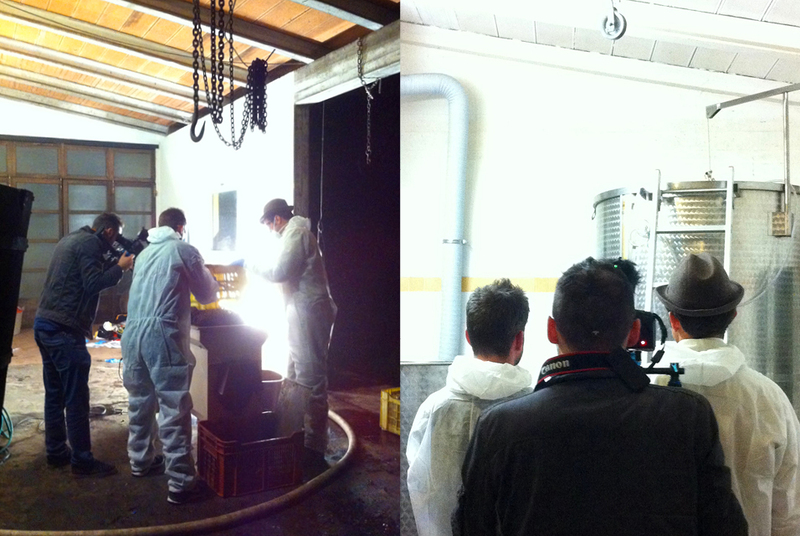 Turner Barr, an American blogger who goes around the world in 80 jobs, comes to visit our acetaia. He works with us for a day: we harvest, we cook the must and we talk. He tells us his story and we narrate the story of our family, of our product: the passion for six generations. We show him the peculiarities of Traditional Balsamic Vinegar of Modena DOP, which has nothing to do with the other vinegars, and something clicks. 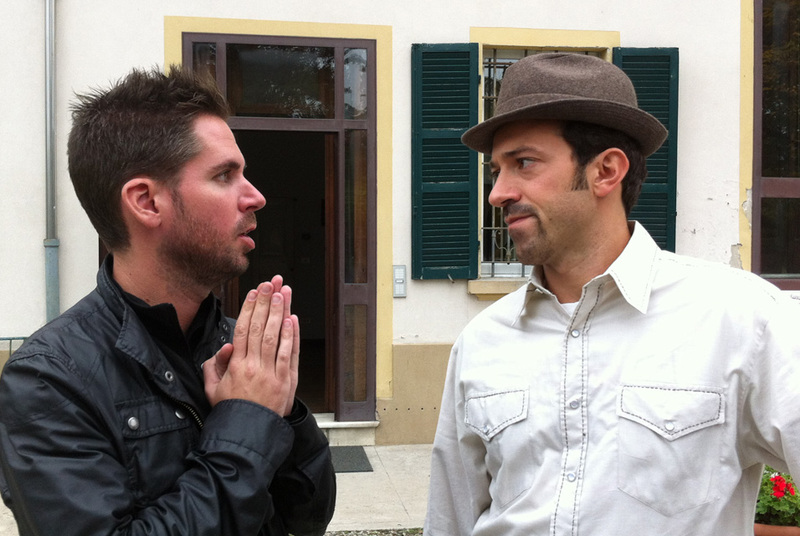 Turner proposes to shoot a parody of the show at Villa Bianca, about ABTM. At the time none of us had ever seen the series, however, we respond with enthusiasm to his proposal. 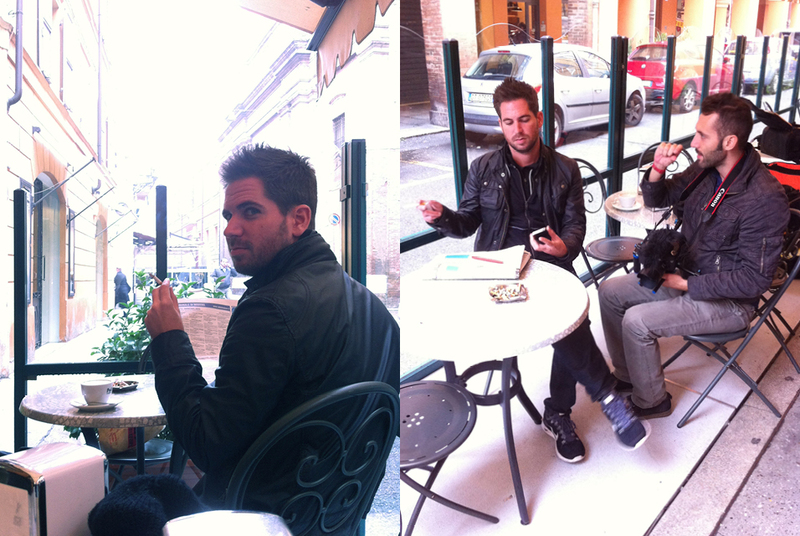 A week later we receive a storyboard and a few days later the shooting started. What’s the plot? We do not want to ruin the surprise. Enjoy the show! Breaking Balsamic: the places and the characters. 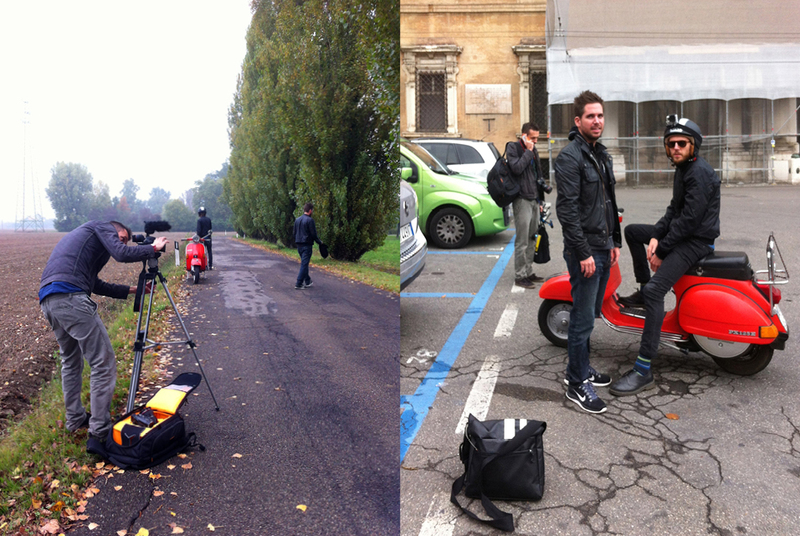 In the countryside (San Damaso) and in the city (Modena). To each his own helmet. Turner and Emilio. Real or fake? The shooting of the escape along the avenue of poplars. We pressed grapes at all hours. 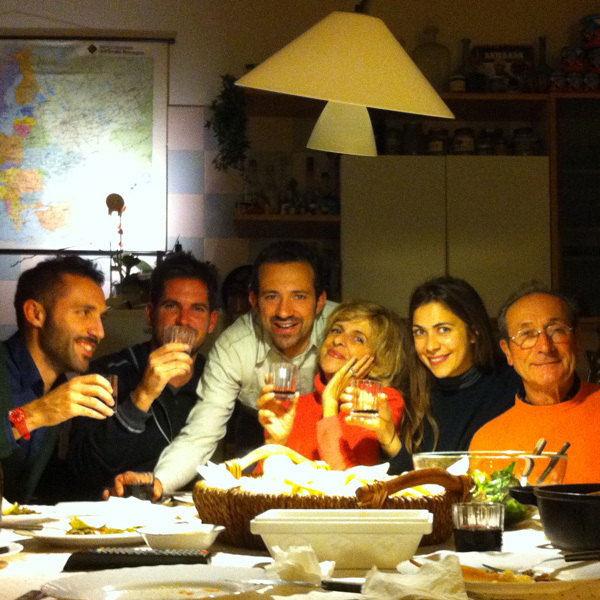 Emiliano, Turner, Emilio, Irene, Aurora and Claudio. 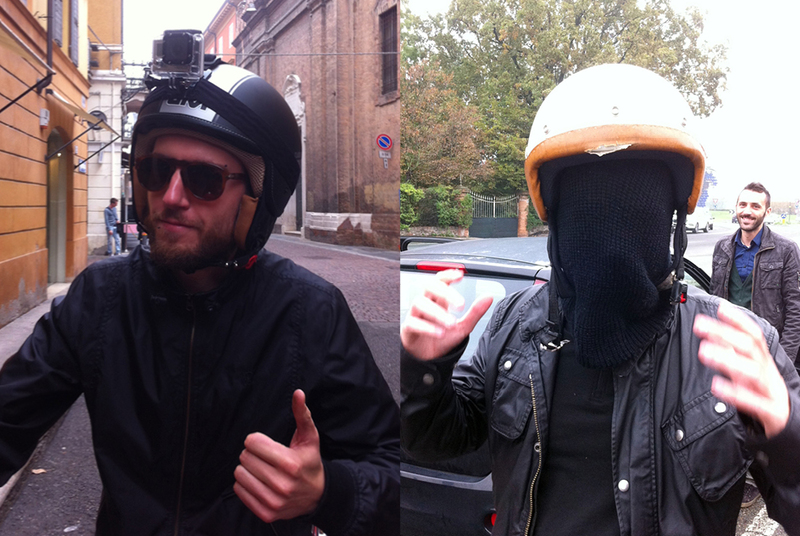 THANKS to: Nicholas Montemaggi (Blogville) for introducing as to Turner; to the genius and madness of Turner Barr who has involved us in this adventure, Emiliano Bechi Gabrielli who has done filming of incredible beauty in painful light conditions (rain, gray, dark), Moritz Vogel who edited the video, Alberto Lepri (El Grippo) a great actor for a day with a gorgeous Vespa and the two actresses who have lent their faces even though they do not appear in the video (Irene and Francesca). We invite you to visit Turner’s blog “Around the world in 80 jobs” and read his version of the facts. 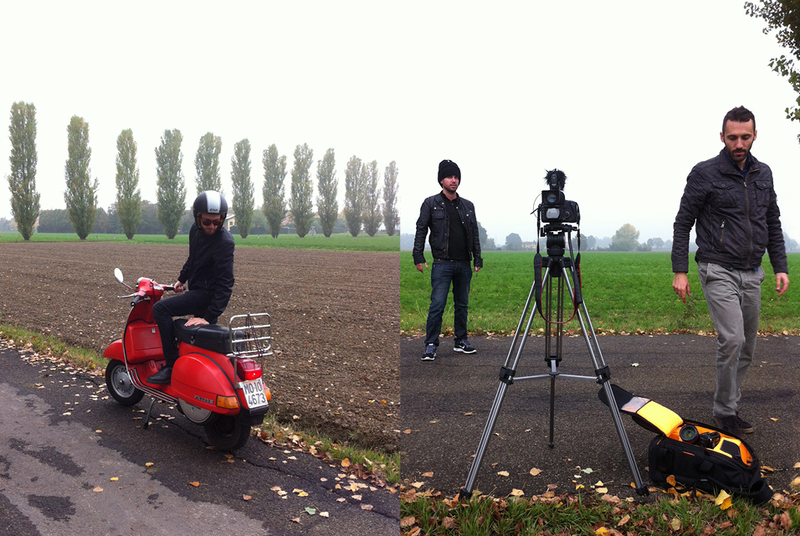 Matador Network – How Breaking Bad analogies can land you a travel filmmaking gig di Turner Barr; Modena Today – Breaking Balsamic, i segreti dell’aceto balsamico diventano parodia by Francesco Folloni; The Local (Italy’s news in english) – Breaking Balsamic: See US writer’s potent parody by Sophie Inge; Digital Journal –Breaking Bad parody: Breaking Balsamic (Video) by Anne Sewell; Liberty Voice – Breaking Bad: Travel Blogger Made Parody Video ‘Breaking Balsamic’ by Anne Sewell.